Note: This is a season long Spotter Guide, so actual entry list on a race by race basis may vary. 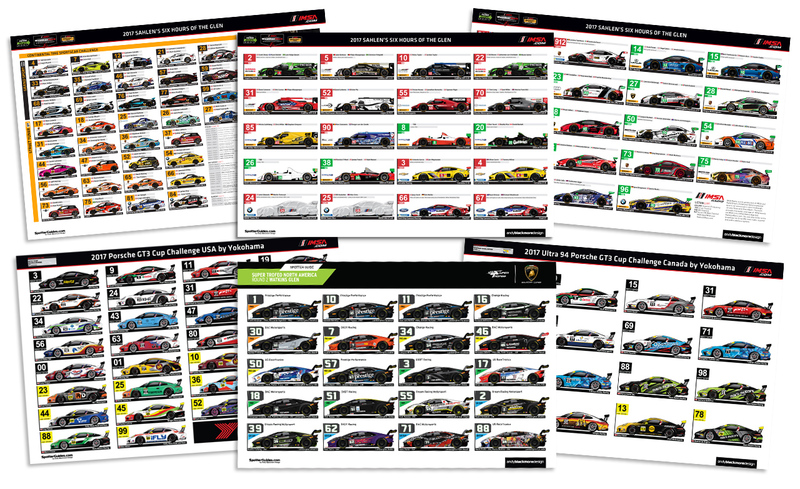 Hard copies of this guide are also available at the track from the IMSA Support Paddock. Note, Since the printed guide went to press, cars #71 and #83 have changed drivers.. The corresponding guide for the US series is available here. 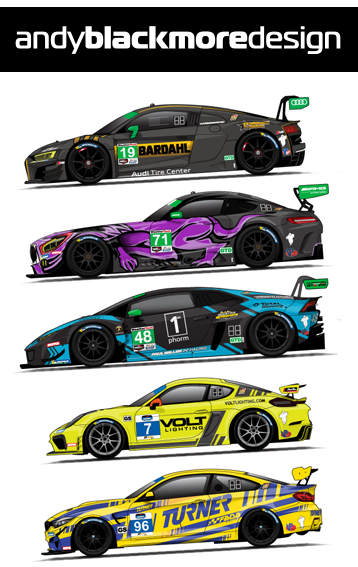 Thanks to commissions from IMSA and Lamborghini Squadra Corsa, almost every race this weekend has its own official Spotter Guide. 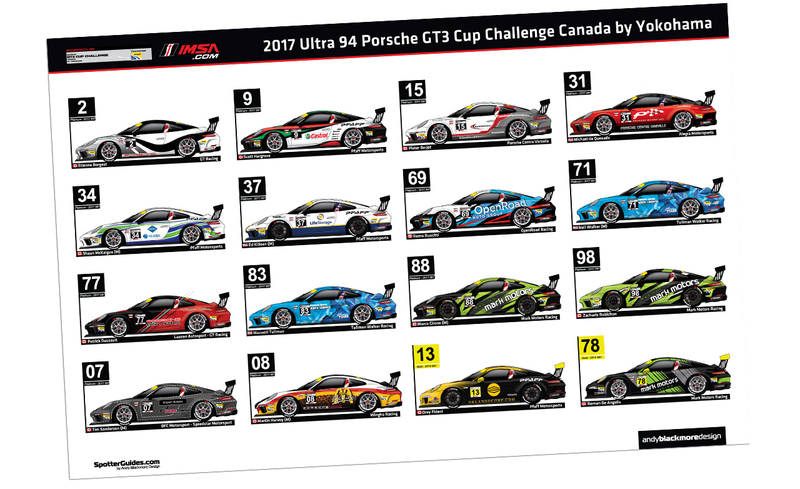 The Ultra 94 Porsche GT3 Cup Challenge Canada Spotter Guide is produced by Andy Blackmore Design with assistance from IMSA.